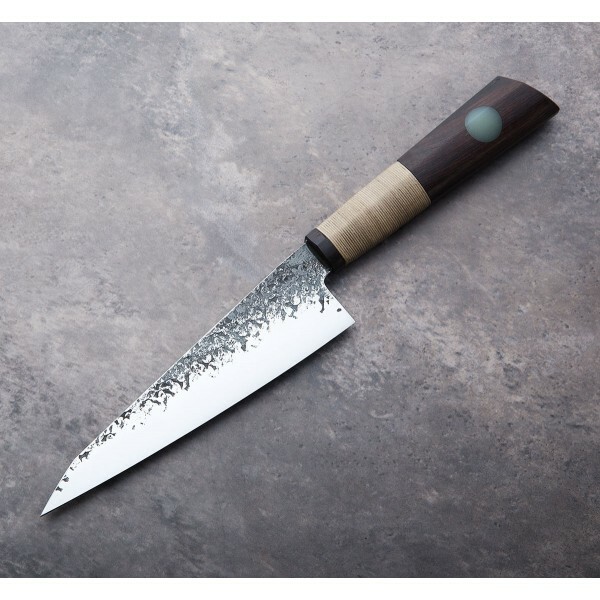 Forged to shape in 1095 carbon steel comes another superbly crafted and gorgeous one-of-a-kind chef knife from Don Carlos Andrade. The forge-finish area of the blade is contrasted with high-polished bevels, and matched to an African Blackwood handle with rosin-impregnated woven cotton line, earning it the 'Tribal Chef' label, and translucent G10 inlay. 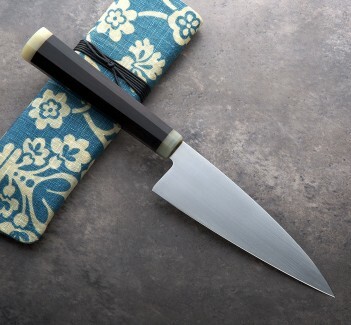 Balanced at the handle just behind the choil, Don's typically exceptional blade geometry is in full effect in this fully forged 175mm blade, a perfect daily user for any and every cutting task. The blade rocks and chops beautifully while maintaining an aggressive, more European profile, thin behind the edge with just a touch of flex toward the tip.  A cloth-covered protective case is included. 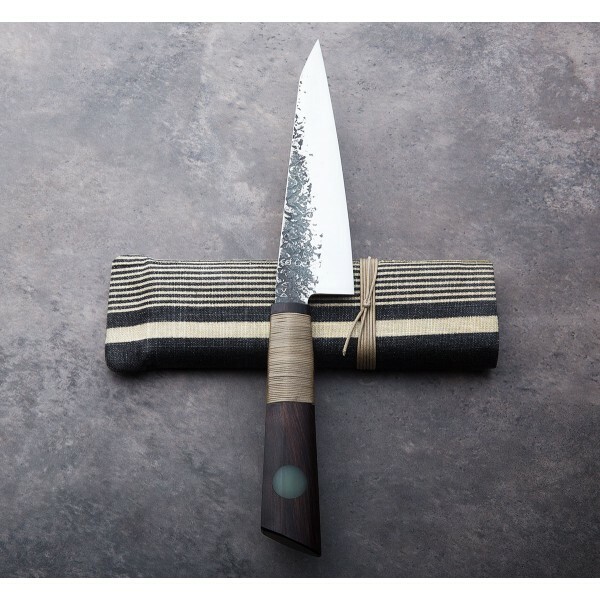 Based on the style, materials and purpose, Don Carlos Andrade designs and builds his culinary tools using a variety of methods, from fully forged to stock reduction, from stick-tang wa handle Japanese inspired handles to full-tang European-esque configurations. 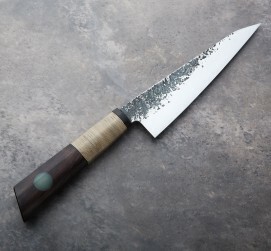 This forged-to-shape 175mm chef with high-polished bevels, a food-safe 'tribal wrap' for grip (and good looks), and attention to every detail, is a beautiful example of his decades of experience as an artist and artisan coming to a head in a finished, purpose built, heirloom quality kitchen knife. Blade: 1095 carbon carbon steel with contrasting forged-finish and high-polish bevels. 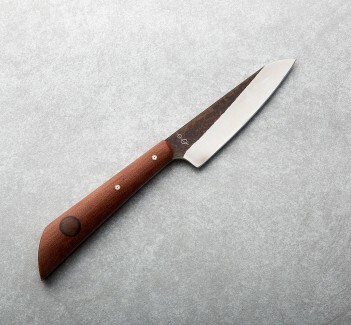 Handle: African Blackwood with translucent G10 inlay and rosin-impregnated woven cotton line.